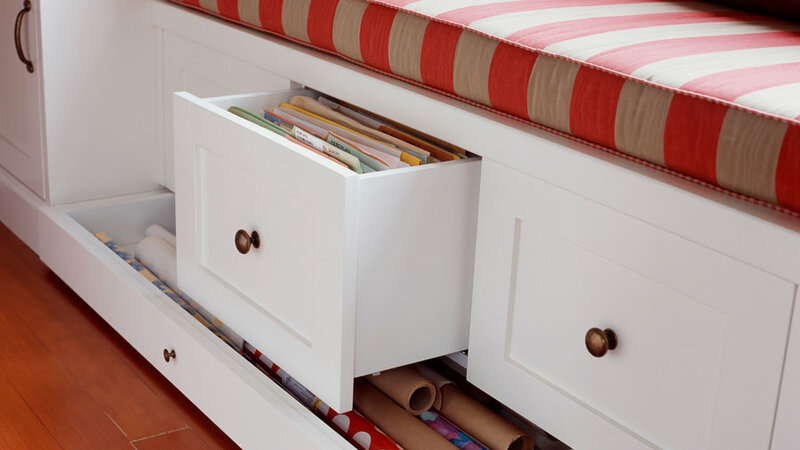 Add storage beneath any bed frame. If you use a bedskirt (covering visibility) you can tuck bins of any kind below the bed. (We recommend plastic bins for easy identification of what's in each box.) If your under-frame space is visible, chose beautiful drawer units or beautiful baskets that complement the surrounding furniture. This walnut functions double duty (and in disguise) as a dresser. With three beautiful built-in drawers on each side of the bed frame a small bedroom lives large. 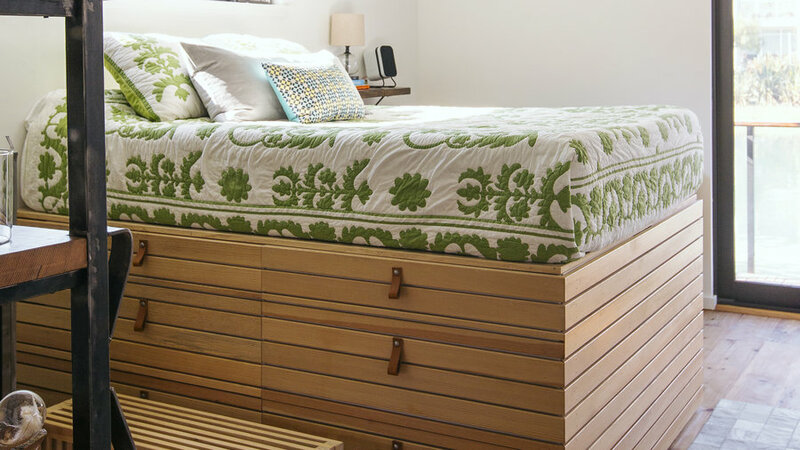 On a houseboat where space is at a premium, homeowners built a high bed frame out of a series of Ikea cabinets faced in natural wood and leather pulls. The height of the bed provides a water view and ample storage space for the master bedroom. A nod to the Murphy bed look, frame a bed frame with custom cabinets, drawers, and bookshelves. Use the shelving for open display of books, art objets, and framed photographs; use the closed storage to conceal the less attractive stuff. 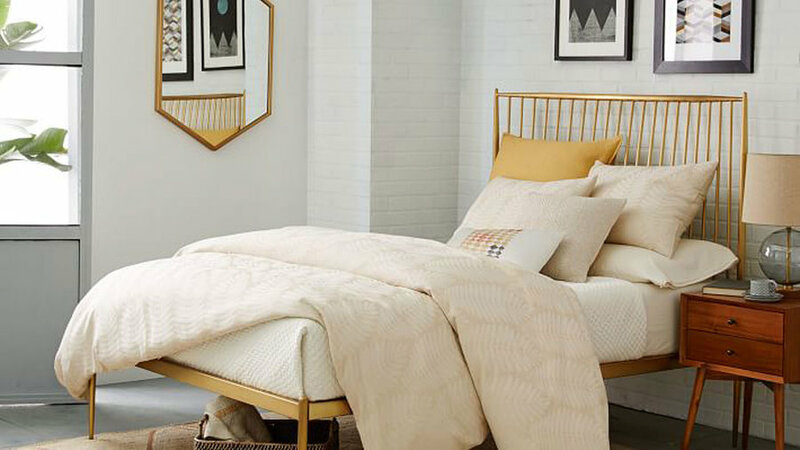 Keeping a bedroom's look modern and minimal means openness wherever possible. 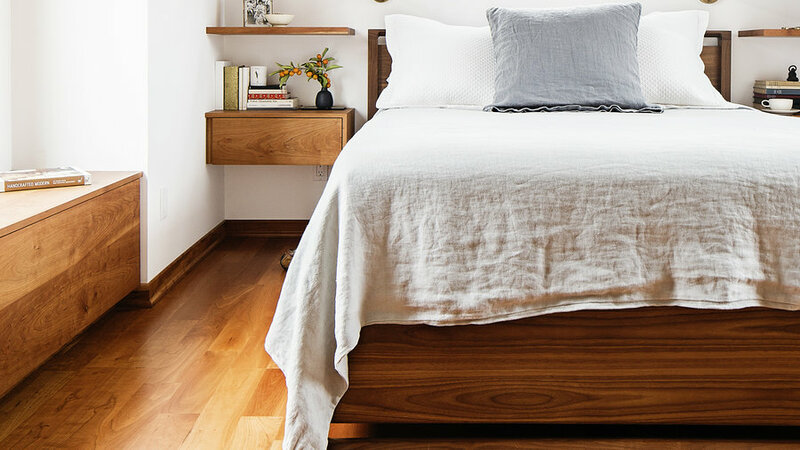 So, instead of bins under the bed frame, or even a side table, keep the space tidy and serene by installing floating shelves as bedside tables. 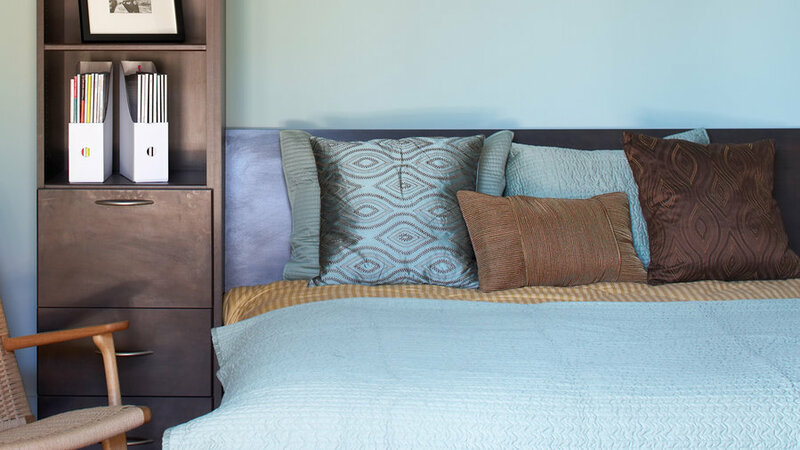 If your existing bed frame doesn't allow for storage, add it elsewhere nearby. 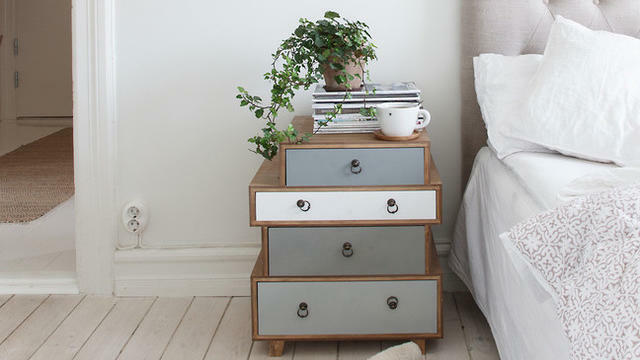 Here, a nightstand with drawers allows for minimal visual clutter and plenty of space for all your bedside possessions (books, a journal, reading glasses, etc.). Remodeling? Design storage into your daybed or window seat plans—taking advantage of what would otherwise have been negative space. Store room-appropriate items: files in the home office, off-season clothes in the bedroom, throw blankets in the living room. Short on space? 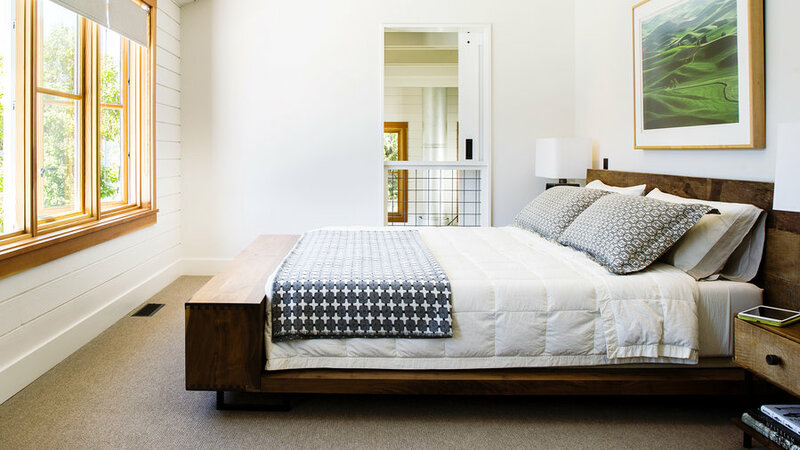 Seek out a bed frame that incorporates drawers into the frame. This modern bed's design is so streamlined that the drawers almost seem like solid panels, not compartments that open. This compact, cushy couch doesn’t seem like it’s got a full mattress tucked inside it. Have we got a bed for bibliophiles. 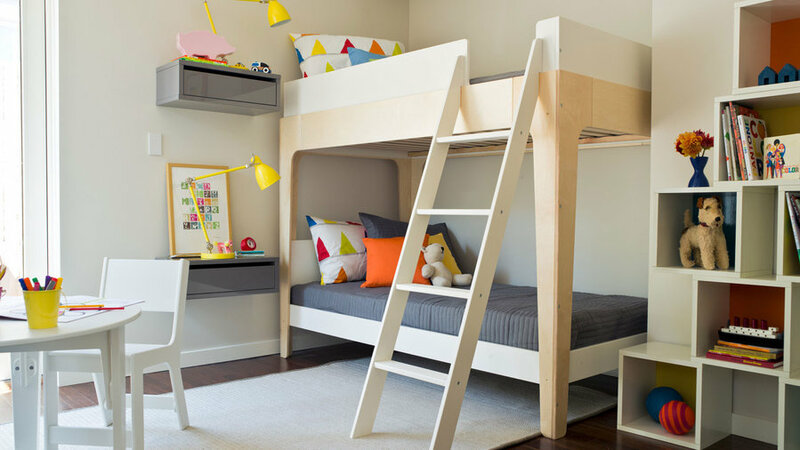 At the end of the frame, a footboard doubles as a bookcase and a bench. Reclaimed peroba wood finished in natural beeswax makes the headboard. As with most platform beds, no box spring required. 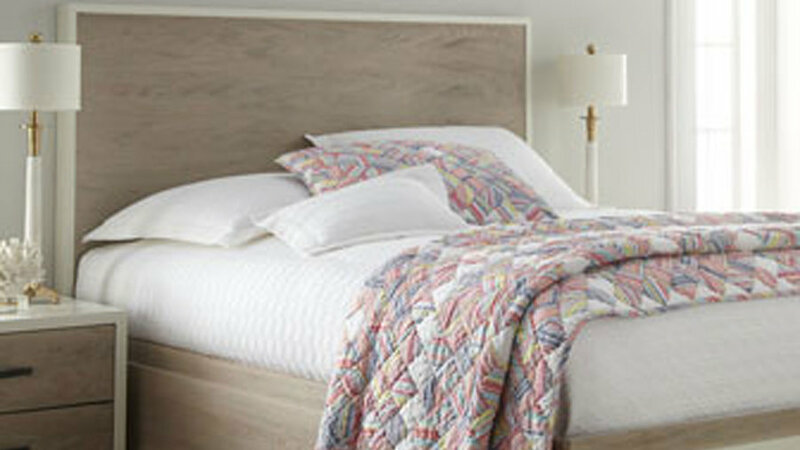 Crate & Barrel: Atwood Bed with Bookcase. .